Food for Thought : Lean In ..
"Professional ambition is expected of men but is optional or worse, sometimes even negative for women. Men are continually applauded for being ambitious and powerful and successful, but women who display these same traits often pay a social penalty. Female accomplishments come at a cost"
This book was truly inspiring, coming from the chief operating officer at Facebook. It literally took me 3 weeks to absorb and digest the amount of the information this book contains, being a working woman at a private sector from so many aspects it opened my eyes on a lot of mistakes I was encountering on daily basis. When Sheryl first joined Facebook she was somewhat distracted by wanting everyone to be liked by everyone instead of focusing on her leading role and she went into depth citing details and evidence of things that women drift under just to please everyone.. I highly recommend it to each and every woman who's struggling in her career it would sure give you an insight..
My name is Jamie Coffey and I am the Special Assistant to the President of Barnard College, Debora Spar. I am writing to you today regarding your blog and your knowledge as to the importance of women in leadership. 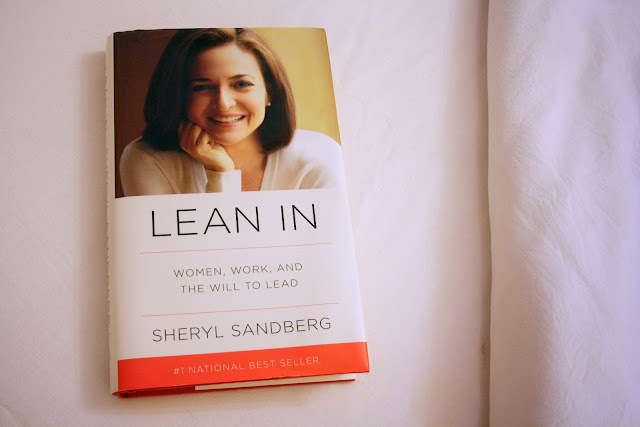 I see you have already posted about Sheryl Sandberg’s book, Lean In, and I’d like to bring a unique perspective from a new book on this important topic to your attention. The ultimate goal of Debora’s work is to reach audiences just like yours with her message. Please consider sharing this post on your site and continuing to spark the important conversation that needs to be had for the benefit of women everywhere.